More on this later. 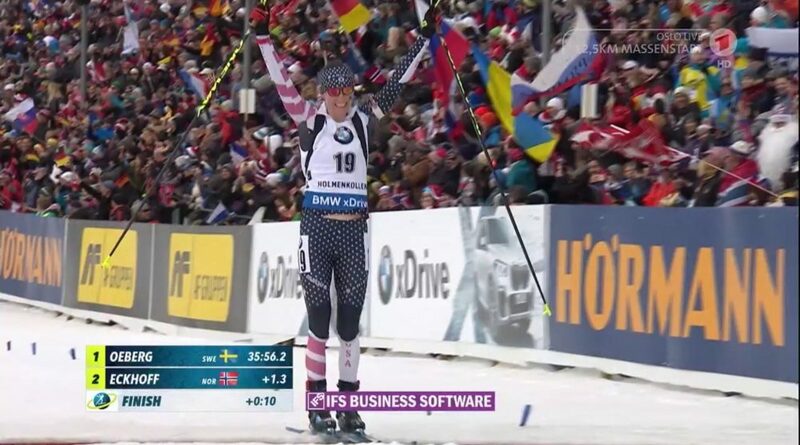 Clare Egan of US Biathlon scored a third place in the holy grail of venues: Holmenkollen. This is Egan first podium on the IBU World Cup. 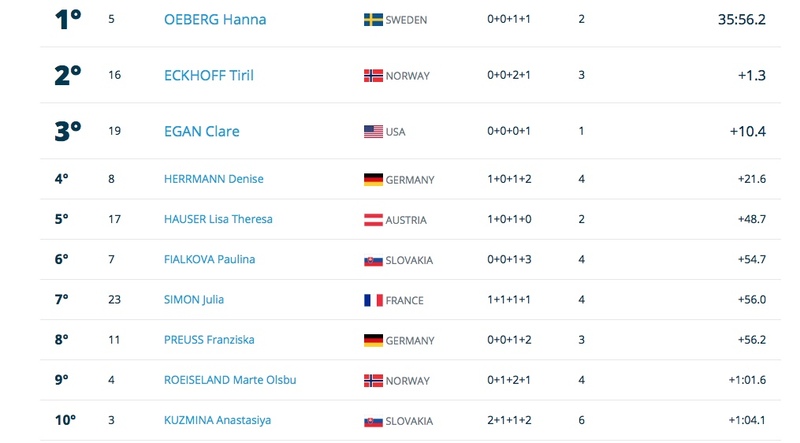 The event was the 12.5 k mass start, which involves the top-30 athletes from the Oslo series of races. Egan was 10.2 seconds out of first after shooting 0+0+0+1 on the range. Below is are the top finishers for Sunday’s mass start. Canada’s Emma Lunder placed 28th (+2:53.3 2+1+2+2).